This week we met up with photographer Astrid McGechan who popped into our office. Astrid has compiled a beautiful book called The Elmbridge Hundred. 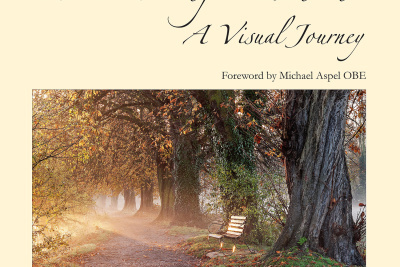 A Visual Journey, which shows 100 photographs documenting the many aspects of Elmbridge life, both the people and the environment. Black Pond on the Esher Commons to Concorde at Brooklands, the bluebell carpet at Painshill to the Landscape Garden at Claremont, it illustrates the variety of landscapes and cultures in our borough of Elmbridge. Among the one hundred photographs are the ten winning entries of a photographic competition held for students at Elmbridge schools. Originally from Germany but now long term resident of Elmbridge, Astrid has been taking photographs since 2004 and her work has lead her to exhibitions in the UK and Germany as well as being invited onto photography judging panels. We hope to you more of Astrids work in the future and wish her all the best of luck with her book.